Would you like to know what an experienced and professional skin care provider can do for you? Stop in and see the amazing results for yourself. At Facials Etc our motto is “Your beauty is our passion” and that shows in every client we have the pleasure of working with. We believe that true beauty certainly is more than skin deep and it is our job to help you obtain a fresher, healthier look through revitalizing and rejuvenation. We offer a wide variety of services intended to help bring out your natural, healthy glow as well as your inner beauty. 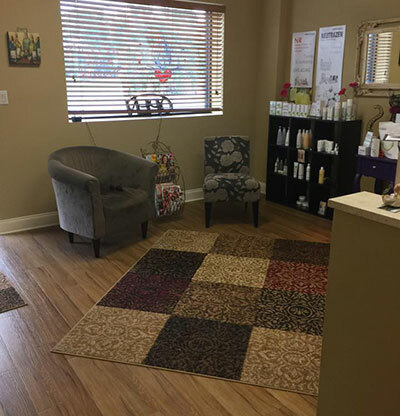 Since 2011 we have been the local leading provider of Homosassa essential facial and skincare services and products that do more than make our customers feel good for an hour of pampering. Our main goal is to help you establish a quality skin care regimen which can offer you long term results including helping with concerns like acne or anti-aging care. Don't settle for anything less than the best when it comes to caring for your beauty and well-being. Skin Care and Facials Right Next Door! There is so much more to taking good care of your skin then simply getting a good facial once in a while. For this reason we make it a point here at Facials Etc to also put an emphasis on the "Etc". Our main goal is not just about offering you a day of pampering in our quiet and relaxing salon, it is about setting you up for long term success in order to get the results you want and be able to retain them. We offer services like dermaplaning, acne treatments and body infusion treatments in order to make sure you get exactly what you want and need by working with our team of professionals. Daily skin care is required for optimal results. We provide electrolysis which is the only FDA approved method for permanent hair removal. Look and feel your very best and let our skin care professionals help you achieve the quality of skin you never thought possible. If you are looking for a facials and skin care in the Florida area then please call 352-270-4069 or complete our customer contact form.